Periodontal disease is a condition that occurs when the tissues and the bones that surround your teeth become infected. There are two different types of periodontal disease: gingivitis and periodontitis. Gingivitis affects only the gums, while periodontitis is more severe and may begin to damage the tissues and bones in your mouth. This disease may develop when bacteria start to build up on your teeth and gums. These bacteria are generally present in plaque. You may have gingivitis if your gums are red, swollen, and tender, or if they tend to bleed easily when you are brushing or flossing your teeth. Because these symptoms generally aren’t painful, it may be easy to forgo receiving treatment from our dentist, Dr. Anna Szmitko, but you should not hesitate to contact us for an appointment. If the periodontal disease has turned into periodontitis, your gums may pull away from your teeth, you may see pus excreting from your gums, and you may begin to lose some of your teeth. 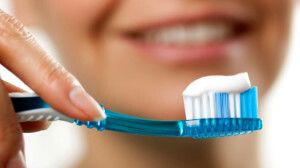 • Brushing your teeth at least twice a day and flossing regularly. • Eating a diet that is high in vitamins and minerals and eating sugary foods sparingly. • Avoiding smoking and chewing tobacco. These substances increase your chances of incurring gum disease. Additionally, visiting our office is one of the best ways to ensure your teeth and gums remain healthy and the early signs of periodontal disease are caught before they develop into periodontitis.